Saying goodbye to a pet is a heartwrenching experience. Read how one family found a silver -or gold- lining after they put their beloved dog to sleep. And there's still time to buy your Roaring Twenties gala tickets, but hurry before they run out! Purchase yours here. One of the most difficult decisions you have to make as a pet owner is deciding when it is time to put your beloved animal to rest. At the Humane Society of Washington County, we offer euthanasia services at the owner’s request. After much consideration and with pain in their hearts, one family concluded that their senior dog Butch should no longer suffer. The terrier/shih tzu mix was quite ill and it was in his best interest to be peacefully put down. The family coordinated the appointment with our staff and said goodbye to their pet of 17 years. As heartbreaking as that time was, the family’s story doesn’t end there. A terrier mix had just come into our shelter under horrendous circumstances. Her golden coat was filthy and matted. She’d been surviving in a place where she received very little attention, and had been confined to a small room surrounded by her own feces. We named this gentle dog “Hawn” because once her beautiful coat was cleaned and shaved, she reminded us of an actress with a similar golden mane – Goldie Hawn! The same staff member who had assisted in coordinating Butch’s euthanasia appointment about a week prior remembered his family and thought maybe this dog of a similar breed would be of interest to them. The family met Hawn, heard her story and fell in love. It didn’t take long for them to decide to open up their home to rescue Hawn. They wanted to give her the life she deserved, not the one she came from. They adopted the sweet and affectionate pup, and decided to call her “Goldie” as she began her new life with them. It was through sadness and heartbreak that this family became involved with our shelter. But from that, something wonderful happened. Because of their compassion, Goldie was rescued and given an amazing life. Goldie will never replace Butch, and Butch will never be forgotten. But Goldie is now able to fill that family’s heart with the love and joy of a cherished pet once again, and that’s a beautiful thing. If you’d like to help animals that have been neglected and unloved like Goldie get a fresh start, please click here to donate. 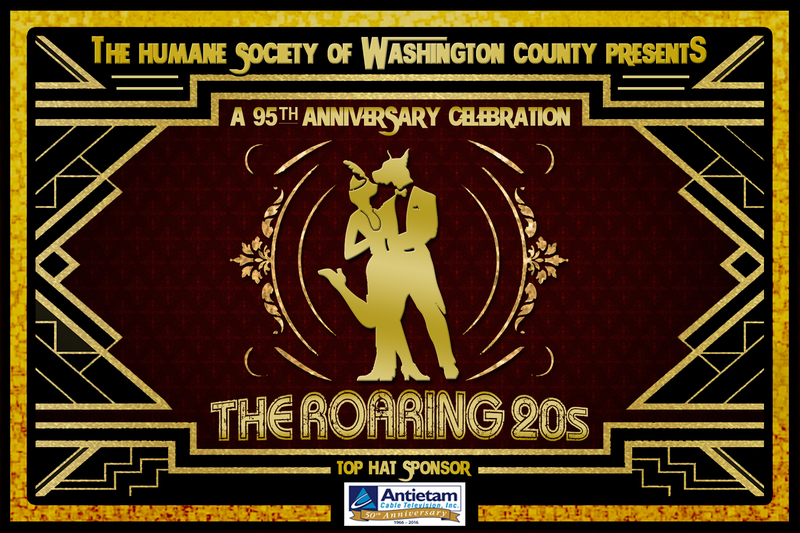 Tickets Limited for Roaring Twenties Gala! Our 95th anniversary "Roaring Twenties" gala is right around the corner! On October 22, we'll celebrate with a night of fun and excitement at Fountain Head Country Club. The evening will include a cocktail hour and dinner, as well as special appearances by some legendary icons of the Twenties. There will be games of Craps, Blackjack and Texas Hold 'Em, a silent auction, time-period dancers, live entertainment and more! As a black tie event, come dressed in your best flapper dress or gangster attire. We're going to live it up in true "Roaring Twenties" fashion! Hurry - tickets are limited! Buy yours here. $10 at the door or get sponsored to skate for free!